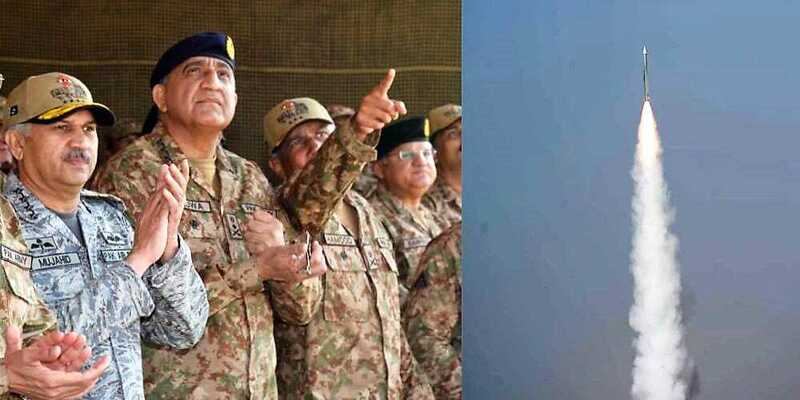 Chief of Army Staff (COAS), General Qamar Javed Bajwa and Chief of Air Staff (CAS) Air Chief Marshal Mujahid Anwar Khan witnessed the firepower display by Pakistan Army Air Defence. According to the Inter Services Public Relations (ISPR), Army Air Defence displayed its firepower capability at Air Defence firing ranges near Karachi. Recently inducted Long Range Air Defence Weapon System LY80 showed their firepower. Induction of LY-80 has realized the concept of a comprehensive, layered and integrated air defence capability with enhanced lethality. “LY-80 has greatly enhanced air defence cap of Army Air Def while strengthening it at National level along with PAF the overall custodian of the defence of Pakistan air space”, COAS. Chief of Air Staff, Air Chief Marshal Mujahid Anwar Khan, also congratulated the Pakistan Army for induction of LY-80 which has strengthened Pakistan’s overall Air Defence capability.